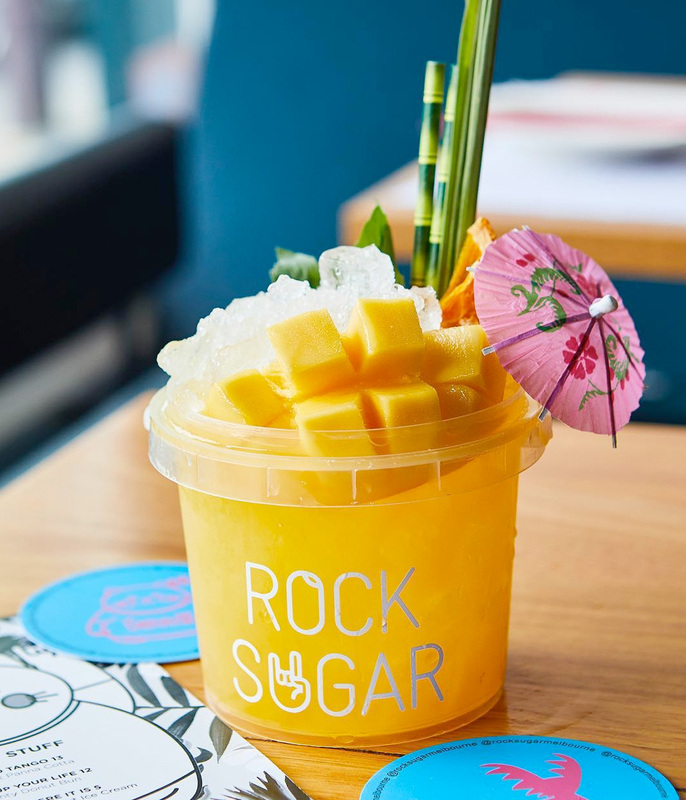 Rock Sugar brings #rockingthai food and #rocktails to the heart of South Yarra. Bookings are available Tuesday to Sunday for dinner (5pm–late), and Friday to Sunday for lunch (12–3pm). To guarantee a #rocking good time for all, the Feed Me Banquet is required for tables 8+. Need a space for you and your paw-some pals? 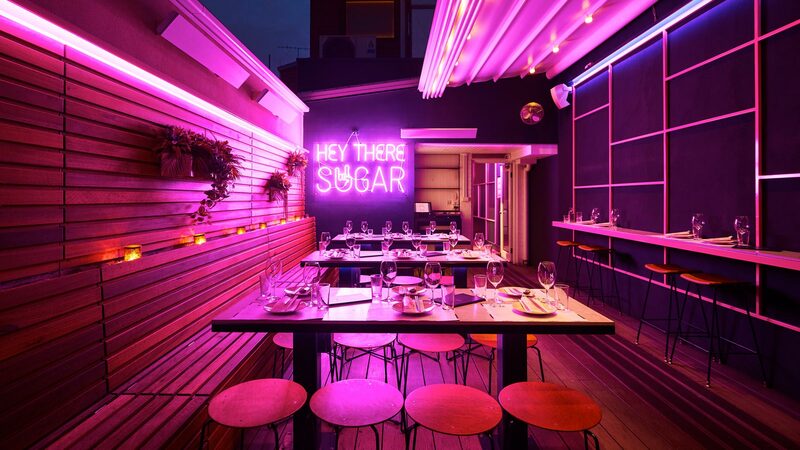 Rock Sugar extends to Phi Phi’s paradise, a heated courtyard with retractable roof, puurrrfect for any function. From one rockstar to another… We also have gift vouchers! Inspired by the hustle and bustle of Bangkok, tropical palm trees of Phi Phi Island and the playful energy of the Full Moon Party. 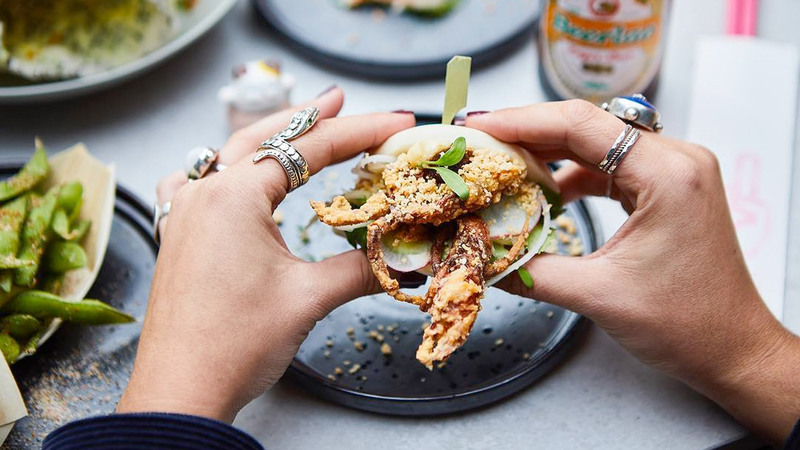 Rock Sugar is all about modern Thai with a twist, you won’t find pad thai here but you won’t miss it! It’s always better to use your hands and at Rock Sugar we encourage sharing the love! The majority of our menu is gluten free, with a great variety of appe-thai-sing vegetarian and vegan options. 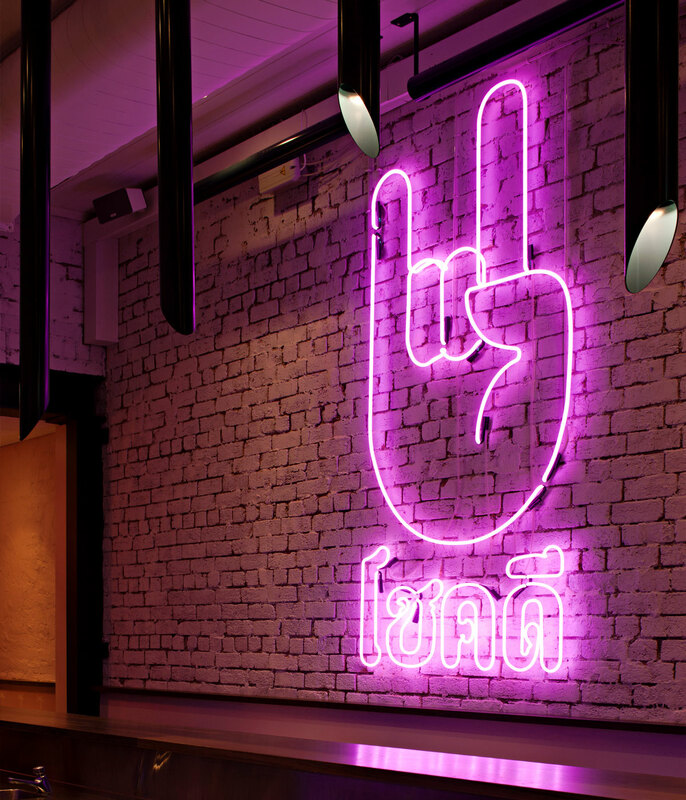 To guarantee a #rocking good time for all, let Phi Phi the lucky cat feed you with a selection of our favourite dishes. Ain’t got Thai for that? You can also take away and order from Uber Eats. Our #rocktails blend classic old school cocktails with exotic and tropical flavours. From spiked bubble tea cups to birthday shots to fairy floss martini’s, our #rocktails are simply to Thai for! Still not rocking your socks off? Check out our selection of Australian wines, Asian beers, spirits and bubbles. For those who love to share we’ve also got our own full moon party buckets! They’re same same…but different! Looking for a gift that’s spicy, salty, sour and sweet? Give the gift that will make your friend love you long time! 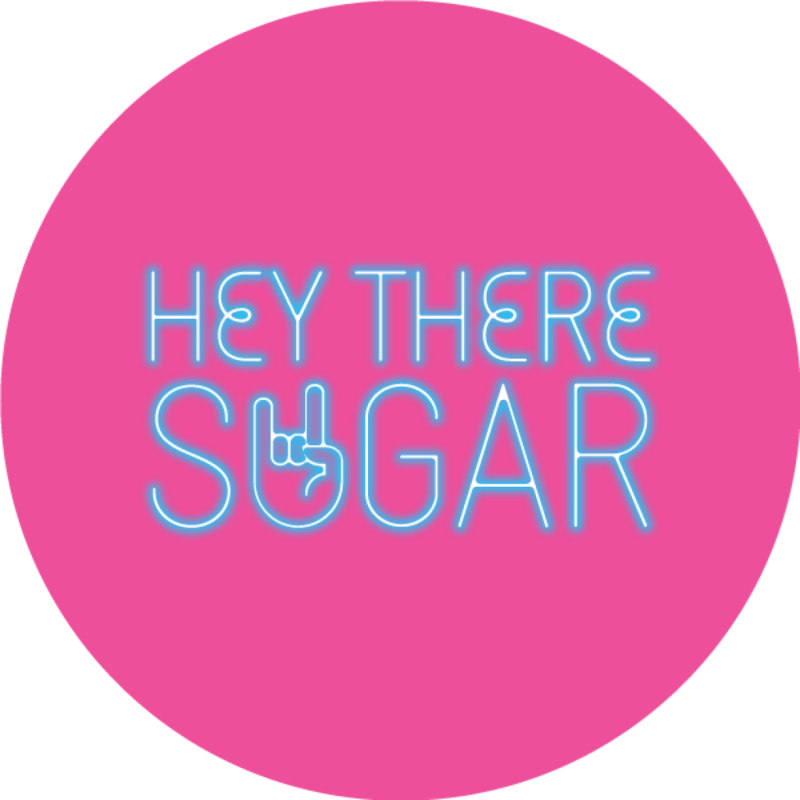 Celebrate your next event at Rock Sugar! Phi Phi’s paradise is the puuurrrffecct venue! Private dining area can be booked for up to 40 rockstars with an option of standing canapé style or our signature feed me banquet.